Help us scare up some fun on Halloween with a friendly potluck at the Waterview Cluster Marina. 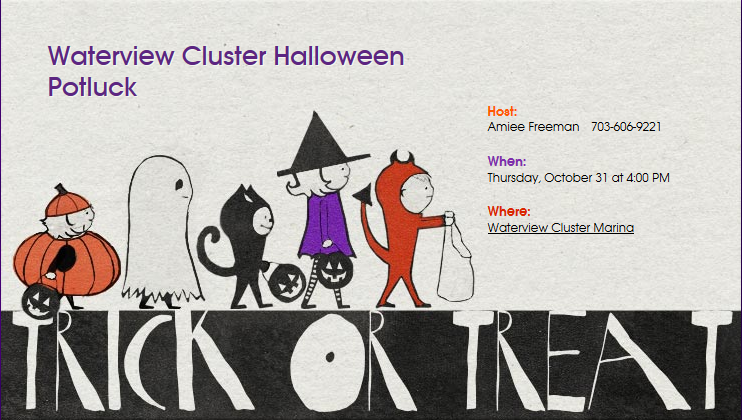 Activities kick off at 4:00 and will wrap up at dusk with trick or treating to follow. Costumes appreciated!